If you have trouble exercising consistently, you may be doing the wrong exercise for your personality. In this month’s Service For Life!® Free consumer newsletter, you’ll learn about six personality traits and the perfect exercise for each, so you can have more fun being healthy. You’ll also learn five hidden benefits of credit cards…plus fun facts, a trivia challenge, and lots more. They may be people wanting to move away for retirement or relocating for a job and need to sell their home. 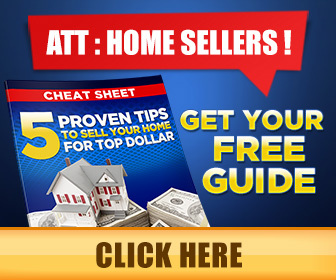 If you’d like to help them learn important tips and strategies for getting a fast, top dollar sale, tell them about my Free Consumer Report called, "Secrets For Selling Your Home For Top Dollar." Then give them my phone number - (717) 258-8934. Or, you can always request a copy for a friend by emailing me at jim@seejim.com. Today's Brain Teaser . . . Which letter is two to the right of the letter that is three to the left of the letter that is four to the right of U? Rental car insurance. One-third of drivers tend to buy extra collision insurance when they rent a car. Most credit cards include collision insurance. You could save $140 on a week’s rental, but it may not apply to trucks, campers, and SUVs. Cell phone replacement. If your phone gets damaged or stolen (loss may not be included). Certain card such as Citi will pay for a new cell phone, although you’ll have a $50 co-pay. Trip cancellation. A Discover card may give you up to $2,500 if you have to cancel your trip due to illness. It has to be a serious illness with a doctor’s note or an event like death in the family. Also, American Express cards usually offer travel perks, such as double reward points to use on hotel and airfares. Price (or return) protection. If you buy an item and find the same one advertised for a lower price elsewhere within 30 to 60 days, your card may refund the difference. Exclusions could include cars, cell phones, online sales, and purchases on eBay. Plus, most cards let you dispute a purchase if your merchandise isn’t delivered. Extended warranties. Visa and AmEx cards automatically double the length of any manufacturer’s warranty. You need documentation and some products aren’t covered but it can save you money. Read your credit card agreement to find perks you may be missing! Thinking Of Buying A Home Soon? If you’re planning to buy a home in the next 6 months, you’ll want a copy of my Free consumer guide, “7 Secrets For Saving Thousands When Financing Your Next Home.” My exclusive report will help you avoid frustrations and costly pitfalls when buying a home. To get a copy, simply call me at...(717) 258-8934, or simply email me by clicking here. If you’re going to maintain an exercise routine, you need to enjoy it. You can, if you find the exercise that fits your personality. Sign up for Zumba, an aerobic dance class that will get you moving. A dance studio or sports club usually offers these classes. Try CrossFit. Go to www.crossfit.com to learn about these timed, intense exercises in which participants compete against one another. Then search the local area for a CrossFit gym. Yoga may be for you. Researchers say doing even 15 minutes a day can lower stress in your body. Search for a yoga studio. You can get a total body workout in minutes by swimming a few laps at a recreation center or YMCA. Plus, it’s better on your joints. Join a team (softball or volleyball, for example) or start a running club with friends. You’ll have fun and hold each other accountable. Sign up for Spinning at a local fitness club. It’s fast-paced indoor cycling that includes lights and music to make it a fun adventure. How To Make The Perfect Handshake . . .
Offer your hand early (shows confidence) and tilt your fingers down so you can get palm-to-palm contact. Use pressure, but in sync with the other person. If someone’s crushing your hand, shift your weight to your right foot. Your hand will move forward, which will loosen the grip. Maintain eye contact – but not for longer than 3 seconds. Don’t forget the closing shake. If your first one was wimpy, you can redeem yourself. Top Money-Saving Shopping Websites . . .
www.freeshipping.org -- find free shipping coupons for 4,000 stores, plus local grocery coupons. www.pricegrabber.com -- pick a category and comparison shop on one website. www.half.com -- check out this eBay company where you can buy or sell books, movies, and games. Dream Job Or Not So Much? . . .
Would you love one of these real jobs? Mattress jumpers – they jump all day to compress the materials. Amusement park ride testers – they check for hazards (only after test dummies have tried them first). Ice cream tasters – they taste new flavors but often have a degree in food or dairy science. Comic book inspector – they inspect classic comics to determine their value. Have A Laugh — Funny Headlines . . .
"Who Else Wants To Win A $10 Lowe's Gift Card?" I'm pleased to announce that THOMAS STUBITS, JOHN ULRICH and JOHN WILLIAMS were the 1st, 3rd and 5th people to correctly answer my quiz question: How much of the Earth's oceans have humans explored? The answer is 5%. What country has the most lakes in the world? Did you know I can help you or any of your friends or family save time and money when buying or selling a home? Thanks for keeping me in mind with your referrals...and spreading the word about my services. Q. What should I know when buying my first home? Not having a professional home inspection. Review the report carefully so you don’t buy a home with serious issues, such as pests, mold, or water damage. Not doing a “walk-through” before closing. Visit the property after all the furnishings have been removed so you won’t have any surprises later. Not understanding the contract. A REALTOR® who serves as your “Buyer’s Representative” will help you understand your responsibilities and guide you through the process. Want to learn more? 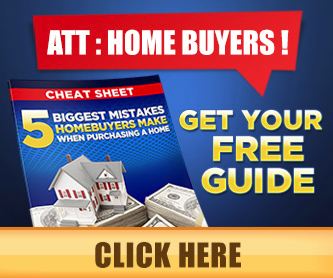 Ask for my Free Consumer Report called “Top 10 First-Time Homebuyer Mistakes To Avoid.” You can get a free copy by calling me at...(717) 258-8934, or simply email me by clicking here. Do you have a question you want answered related to real estate or home ownership? Feel free to call me at (717) 258-8934 or email me by clicking here. Perhaps I'll feature your question in my next issue! You received this email because you requested it, are on the mailing list as homes@seejim.com, or a friend forwarded it to you. Disclaimer: The information contained in this email is intended for informational purposes. It should not substitute as legal, accounting, investment, medical or other professional services advice. Always seek a competent professional for answers to your specific questions. This email is not intended to solicit real estate properties currently for sale. Copyright (c) 2013 by Forte Communications, Inc.